Examinations of what we eat shows the average person consumes up to 5,241 calories on their big festive blowout when alcohol and snacks are added. And it means they will need to run for 52 miles to get rid of the evidence of the traditional festive excesses on December 25. A marathon runner burns 2,600 calories over the 26.2 mile course – around 100 calories per mile. Cyclists would need to pedal 109 miles to work off that Christmas excess – burning 48 calories a mile in the saddle. And swimmers would have to spend almost 13 hours in the pool, typically burning 413 calories an hour doing a slow front crawl. Gym-goers would need to work out for almost nine hours as they burn 590 calories an hour doing weights and treadmill running. The average person puts on 4lb between Christmas Eve and New Year’s Day after consuming twice their recommended calorie intake. It takes until Easter for many dieters to repair the damage. Around a third of 1,000 people quizzed said it would take four months to get back into the same shape they were before Christmas. Health and wellbeing firm Forza Supplements looked how much people typically eat on the big day – and how long it would take to burn off all that excess. Forza then asked a team of fitness experts to calculate a range of exercises which burn the equivalent calories of a Christmas dinner blowout. 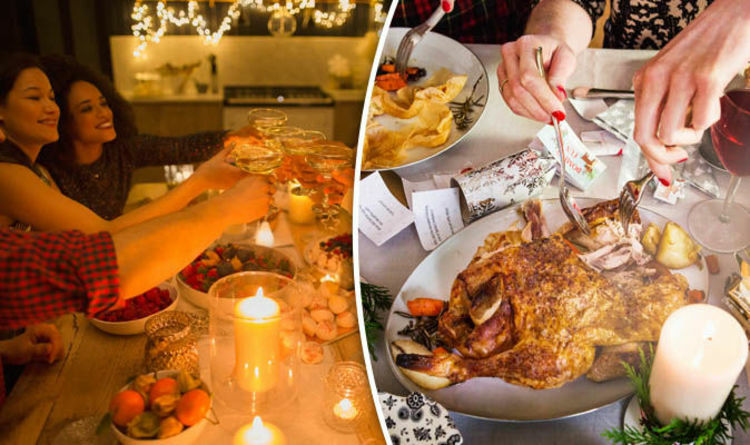 Forza managing director Lee Smith said: “The problem most dieters have is they tend to ‘write off’ Christmas and go right over the top – not just on Christmas dinner but all the endless nibbles which are brought out between meals. “We all want to have fun at Christmas, but the best way to maintain a bit of discipline is to look at the hours or exercise you will have to carry out to burn off the calories.